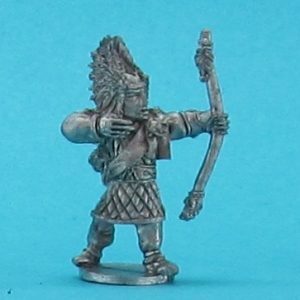 Thain Commanders List – FASA Games, Inc.
Unit Description: Dagorkan is a chieftain of the Wolf tribe. He has gained renown across the Thain islands for his unshakable bravery. When the demons invaded the southern parts of the islands, Dagorkan walked out to meet them. He led the warriors of the Wolf tribe and fought off wave upon wave of demons until the onslaught lessened and the tribe’s defenses could be secured. 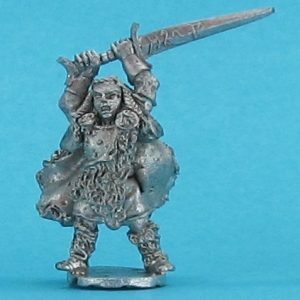 The chieftain wears chainmail over thick cloth and a wolf skull headdress to mark his position. He is followed everywhere by his faithful wolf companions. 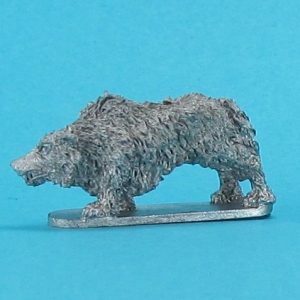 Unit Description: These massive wolves are the companions of the Wolf tribe chieftain. In the tribe’s tradition, when a new chieftain is chosen, he goes into the wilderness and wins the trust of as many winter wolves as he can. This symbolizes the new leader’s blessing from the wolf spirits. If the new chieftain cannot complete this task and returns without companions, he is summarily replaced with a new candidate. Unit Description: Astagar is the foremost commander of the Eagle tribe. The title of “the Crow” has been given to a select few commanders within the tribe throughout history and is a significant honor. A commander worthy of the title has proven to be especially cunning. Astagar proved his worthiness during several raids against the Elves. 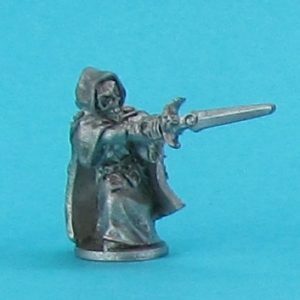 His intelligence and foresight led to many successful campaigns and resulted in the elimination of dozens of magical items. 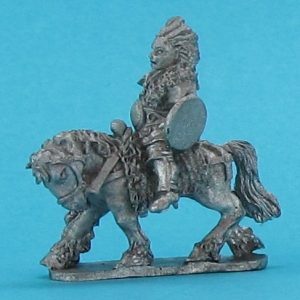 Unit Description: It is not often that the Thain crown a High King. Such a person must prove him or herself to be physically and intellectually exceptional and have the interests and welfare of all the Thain tribes as his or her foremost priority. High King Fosrath was crowned in the year 871 during an all-tribe council. He was able to rally all seven tribes and inspire confidence that the demons could be defeated through their combined strengths. Fosrath’s coronation was cut short due to the need for quick action, but it was still an event the likes of which had not been seen in three hundred years of Thain history. Unit Description: Iltraftin hails from the Boar tribe and is a relatively young commander, though he has proven effective in the role. He is small by tribal standards, but his skill with a blade is unquestionable. The Boar tribe generally values brute strength above weapons skills, but Iltraftin has still managed to gain the respect of the tribe’s most seasoned warriors. 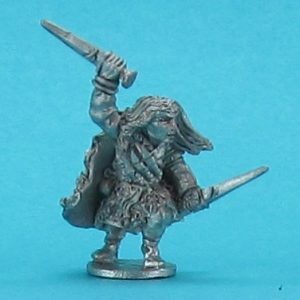 He carries a buckler, sword, and dagger into battle. 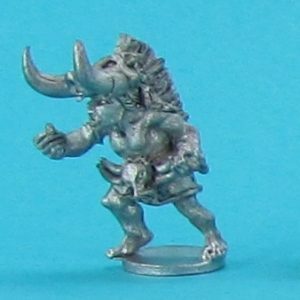 Unit Description: Grum Earthminder is the Boar Tribe’s oldest and most celebrated leader. He wears a helmet made of a boar’s skull and no armor, but he seems to be blessed by the spirits because his skin is touch and resist many wounds. He fights with his bare hands and even has small tusks grafted onto his own teeth. 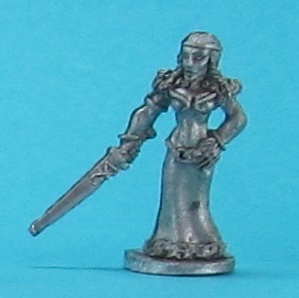 Unit Description: Harven is one of the Thain tribes’ most powerful spellcasters. From a young age, he showed a strong talent for speaking with the spirits and harnessing the elements. His magic bolsters his troops and inspires fear in his adversaries. Being of the Sinners, he has been forbidden from becoming a full-fledged shaman, but the title is meaningless to him. His magic still outstrips many of the shaman of the islands. He carries a longsword in battle if he has need of it. 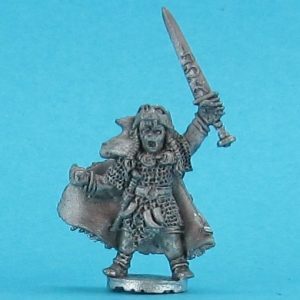 Unit Description: Garrad All-Seer earned his name before losing his eye to a demon attack seven years ago. 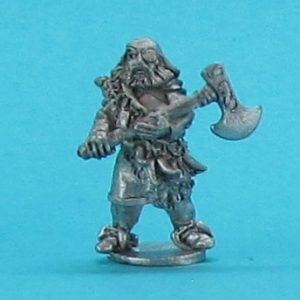 The two-handed axe he wields is an heirloom from the early days of the Bear tribe, which Garrad commands. The axe itself holds a place of honor within the tribe and is passed from one leader to the next. Garrad is one of the handful of Bear tribe chieftains that actually wields the axe in battle, rather that simply using it as ceremonial decoration, and he uses to great effect. Unit Description: Red Moon is a legendary warrior of the Mountain Lion tribe. He is far older than he appears at first glance and has gained the respect of all the Thain tribes, not just his own. He most often lives solitarily, preferring to roam the wilderness with this animal companion, Lillith. However, when he is needed, he heeds the call to lead his tribe in battle. Special: Controller- Red Moon grants Lillith a -2 Morale bonus as long as she is within six inches of her controller. 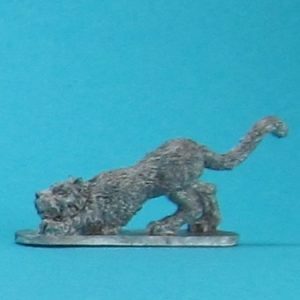 Unit Description: Lillith is a mountain lion and companion to Red Moon. She is an exquisite example of her species and seemingly far more intelligent than the average mountain lion. She found Red Moon on one of his exploring adventures when he was a youth and has rarely left his side since. Some say she is an avatar of the mountain lion spirit and saw something special in Red Moon, and so blesses him with long life and vitality. Whatever the case, her knowing gaze and eerie intelligence has been known to cause her prey to wet their trousers. That is, if they see her coming. Special: Familiar- Lillith starts the battle on the field. Lillith can move no more than ten inches from her controller, Red Moon, and gains no benefits from any other commanders. If Red Moon dies, Lillith immediately becomes an uncontrollable unit, cannot join any other unit’s formation, and suffers a +2 Morale penalty. 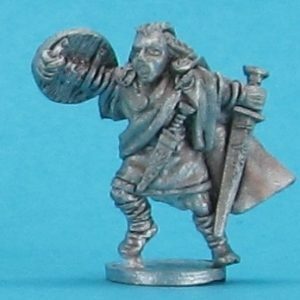 Unit Description: This hero of the Owl tribe is one of the Thain’s most celebrated archers. His calm demeanor makes his aim true and his command dependable. He has even been called upon to train archers of other tribes when there is a threat to the whole of the Thain islands, like the demons present now. Unit Description: Though many women within the Thain tribes are respected as formidable warriors, few of them rise to the position of commander. Kirari, princess of the Dragon tribe, is a rare example of the exception. She wears no armor, carries no shield, and her striking beauty belies her astounding skill with a sword. Her speed and agility keep her just out of reach of her enemies’ swings and her fighting style uses her sword to defend as often as it attacks. Legions of warriors follow her eagerly into even the most hopeless battles, and she has yet to let them down.